This icon of Saint Nicholas the Miracle Worker was done in the village Palekh. 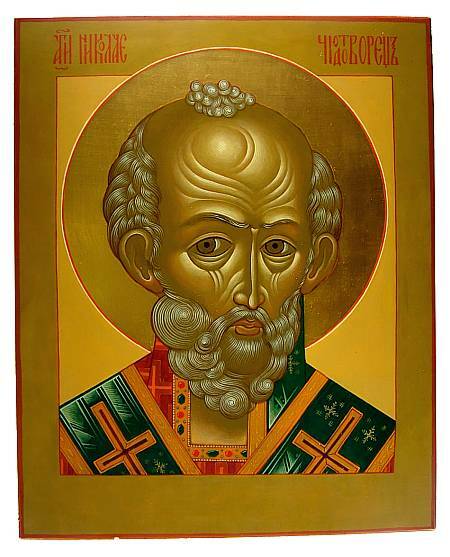 What may be most compelling about it is the kind and compassionate eyes of St. Nicholas, which seem to find an immediate connection with the viewer. The focus of the piece is on his head, not his vestments, and the large radiant halo behind it accentuates this feature even more. 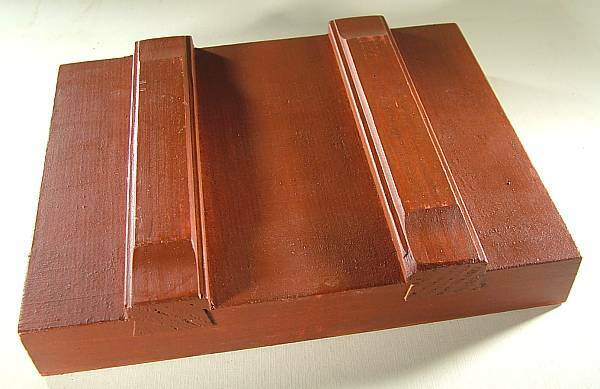 The icon is made out of wood and has two slats in back, which is painted in a burgundy color. The icon is in excellent condition with only a very minor chip (about 2 mm) at the bottom corner. (You can see it in the photos). 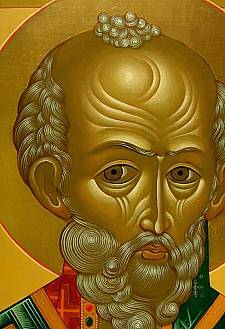 True to traditions of icon painting, the work is not signed. The purchaser of this icon will also receive absolutely free with their order the book Russian Icon Painting, which presents a number of icons from the Palekh village and some of the town's history behind this religious art.